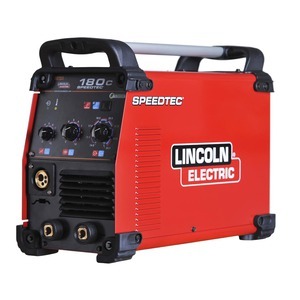 This heavy-duty, industrial, three-phase multi-process power source scores big in MIG, flux-cored, submerged arc, stick and DC TIG welding. It’s a great choice for arc gouging too. 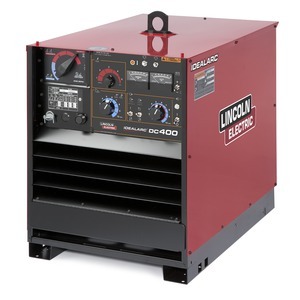 Flexibility doesn’t mean complicated – the DC-400 is easy to set-up and use. Changeover between processes is as simple as turning the multi-process switch. On-board ammeter and voltmeter make monitoring of key welding parameters easy. 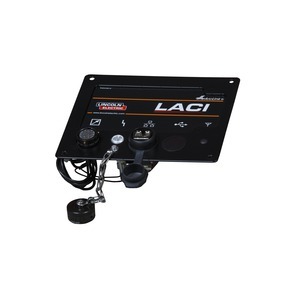 Inductance and arc force controls allow the operator to efficiently refine the arc for the job in hand. 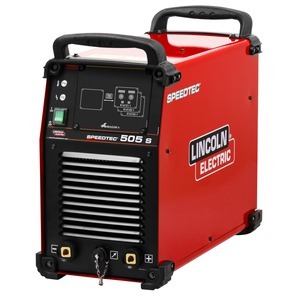 Solid state circuitry for long life and repetitive welding applications. Arc control adjustment changes pinch effect of the arc to control spatter, fluidity, and bead shape in the MIG/Flux-Cored mode. 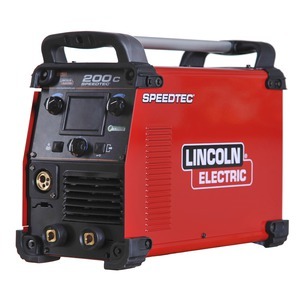 Outstanding welding performance with a single range full output control potentiometer.